6* is not "high rank". Only caravan quests 7* and up are high rank. Anyways, to unlock 6* quests, you have to get certain amounts of kills of other monsters. I don't know the exact amount, but that is the only conceivable way, since I have gold checks on all, cept the 6*. Even did the Kirin and Brachy urgents, and still no gold check. Anyone know how rare the S. Magala Plate is? (over 10 down and no drop yet...). I was looking on Kiranico's site and according to it, there is a mix of low and high rank quests in the 6* Caravan quests. Maybe it just got it wrong? Looking at Kiranico's site, it says there's a 3% chance to carve one from the body, 4% chance to carve from the tail, 2% chance from a shiny and a 3% chance from break rewards if you break the horns. EDIT - Oh, and a 1% to get one from the Main Rewards A. Remember that the US and Jap versions have some differences. And I don't mean the Magalas... I mean Akantor, Teostra, Kushala ect. You can't unlock these until you complete some high-rank quests. These are "high" ranked... since the rewards they give you grant High ranked weapons & armors. But they still show up under the low rank start. Meaning, you will get a full salvo of what to use from the box at the beginning. There will be true "high" ranked versions of these monsters further in the caravan quests as well. 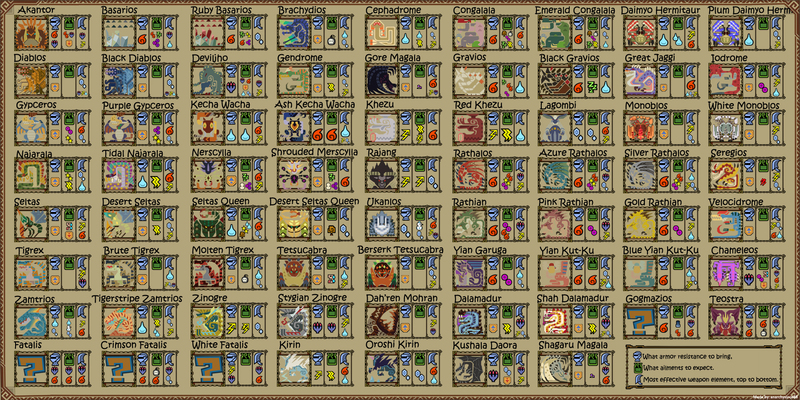 I have everything else unlocked except those monsters, which will all be in urgents under the "low" caravan quest lineups. Here's a question. How did I manage to somehow skip doing the low rank Basarios Urgent for Caravan / Expedition that everyone else seems to get? Somehow I didn't get it. Is it because I haven't done all the requests for the people who want me to do stuff for them? Or because I did more online content? Or because I've barely done any expedition stuff? Seriously how did I skip it? I got the basarios urgent quest after doing "mine these things" quests. The ones where you have to get crystal bones, sulfer crystals ect. And yes... some of those are just requests that the people give you. As far as I have seen, almost every quest has a purpose to it this time around. Before, you only needed to do certain quests to unlock the next tier of quests, but not this time... which is a big plus in my book. tedius grinding for grinding sake is not that appealing. In previous games low and high rank armor could be sphere'd and/or part upgraded to G rank defense values...is this possible still in 4U? Eying an armor set but don't wanna waste time farming it vs getting G Rank armor, if the low / high stuff cannot get appropriate defense. Once again, going by Kiranico, all of the low rank armors I've seen can get upgraded to over 120 defense. Unfortunatly the wiki is still not complete on Gore Magala. Is it possible to craft Charge Blade: Elendskraft while in 5* Caravan and 2* Gathering Hall. Im LOVING the Charge blade, but at this point there are only 3 options; Impact, Fire and Ice. and you cant even upgrade them very much. I've gotten a few from Hire a Hunter. And about the 6* Caravan, you have to be HR 7 to unlock to last few. In MH3U, the only way to make the insect armor was by getting maiden butterflies from the hired hunters... and it is looking like it will be the same in MH4U. As for the 6* Caravan, I have done the 7*-9*, and they haven't unlocked. Are you seriously telling me that I have to be High Rank in the guild before I can take on those? O well, its good to know I guess. And here I wanted to earn all that good stuff before I Well full online. I know how you feel. I was hoping to get awesome stuff from the Caravan before going online. But the only stuff that was any good that I could get was the Seregios weapons. They don't even let you fight a HR Gore Magala, which really ticked me off. Sorry for the double post, but I figured if I just edited my last comment, nobody would ever see it. I'm wondering, does pellet still work against the Zinogres? And if so, what are good high rank armors for a pellet gun? I seem to be getting them mostly from the Hunters for Hire. How far have you gotten in the Caravan quests? You'll be able to send your Palico's on mini-quests once you get to the Cheeko Sands (Once you do some stuff for them first, I think.). Those quests you send them on will give you scraps which can be used to forge armors and weapons at your smith dude. I'm using a gunlance and HBG what armor should I get for high rank for each of those weapons? Unfortunately, Caravan quests of a certain level are tied to the Gathering Hall. You can earn some quests by completing perquisite ones, but for the offline high rank gore, I think you need to do some hall first. I ask myself, is it worth to lvl up every weapon or are some weapontrees better then the others? Because not every weapontree ends in a rare 10 weapon and i would say these are the best weapons? Hey guys found this while surfing around trying to find any good pics of Female Mono armor. Wasnt sure where to post it so here you go. 1) You want a weapon for every occasion. Raw is always king, but it will not always be the best weapon for the monster at hand. If your choice is a 700 Raw weapon with 700 water (yep, there is one), vs a 916 weapon with no elemental affinity, your choice will depend on whether the monster in question is weak to water or not, and WHERE the monster is weakest to water. Cause if the monster is weak to your weapon, in a spot you can't ever reach... just go for Raw. 2) If you are a completionist. And I don't mean a PERFECT completionist... I mean if you want all the awards... In all MH games, there is usually an award for having 10 G level weapons of every class. So it might be worth it to take at least 10 weapon trees up to G rank in each class. 3) You like combining outfits for looks. This one is very important to some people. Since they can already hunt well regardless of what skills they have, their main objective is to look the part. In MH3U, one of our resident forum admins wanted to look like (and pulled it off) the green arrow. Skills didn't matter much at that point. So, if any of these applies to you, go ahead and go down whichever trees you want... but it is not necessary at all, as long as you have a good goal of a high raw weapon. If you are in high rank (And have made it to the Tigrex, as well as have a +4 attack talisman or an equivalent one) then you can make a set with Sharpness +1 and Attack Up "XL". It would work well with pretty much any weapon type just because it doesn't do any weapon-specific skills. I typically don't make too many armors for specific weapon types till I reach G-rank, just because that's where the good armors are. However there are still some pretty decent sets in high rank and even low rank in this monster hunter. Good sets (For me at least) are ones with the skill Sharpness +1. If I'm a blademaster, then that skill is super awesome. There are some weapons that don't benefit from that skill though.